A synopsis involves providing a thorough summary of a story from the start till the end. Unlike a standard summary that just highlights the narrative, a synopsis goes more in-depth by providing all of the plot details, including the ending. Writing a synopsis is important for when you want to get a book or screenplay published. If you know how to write a good synopsis, it can really help you achieve your goals. As you write it, you will need to focus on the main conflict as well as the resolution to the problem. Furthermore, you should discuss the main characters, including their personalities and motivations. This task has to look professional, which means you should make sure to proofread and edited it properly. Also note that most publishers will only accept full manuscripts, but nonetheless, writing the synopsis will allow you to highlight the most essential details. If you are working on a synopsis for a research project, there will obviously be significant differences. Rather than discussing characters and plots, you would instead talk about a problem that requires solution, the methods and sources that you used in order to collect information, and conclusions that you reached after conducting the research. But either way, your ultimate goal is to get your paper published and for a large audience of readers to see it. Those who know how to write a synopsis understand the importance of planning before you start writing. Indeed, there are a lot of things to think about. First, list the main characters from the story and identify their roles (i.e., protagonist, romantic interest, antagonist). Discuss the main plot and story arcs. Do not concern yourself with the subplots unless they are essential for the resolution of the story’s conflict. 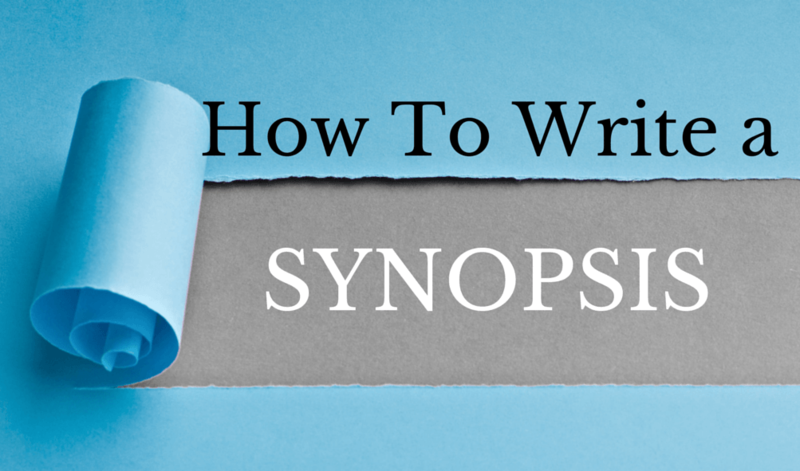 If you are writing a book, your synopsis should contain a one-sentence summary per chapter. If you have written a play or screenplay, each act should be one sentence in lengthy. As you can certainly appreciate, publishers and agents have a busy job of looking through hundreds of synopses, which means your story has to be original and really stick out from the others. With that in mind, ask yourself a few questions. What makes your particular story so compelling? Does it contain a surprise ending? What type of audience is your story geared towards? When you provide a summary of the plot, adhere to the proper synopsis format. Discuss how the story begins, making sure to keep the reader hooked. Discuss the main points, including any obstacles that stand in the way of the main characters. The main characters should be well defined and relatable since character development is key if you want the audience to feel an emotional connection to them. Finally, reveal the ending so that the publisher or agent can decide whether it is satisfactory. Step 1: Scan the manuscript and look for the key moments of each chapter. For most of the chapters, a one or two-sentence summary will be sufficient. However, for important chapters such as the first one and the final one, you might need to devote a few more sentences since so much of the story’s essential information is contained within them. You should also discuss how the arcs resolve themselves and how the story comes to a conclusion. Step 2. The first chapter will make or break the story, so take it seriously. Make sure to set it up really well when you write the synopsis. Get things started immediately by discussing the setting of the story, the main characters, and the main problems that they encounter. Step 3: Cobble your short chapter summaries together, based on proper synopsis formatting. It will be somewhat barebones, but should nonetheless be coherent. Step 4: Skim the story, focusing on the main plot points. Summarizing each chapter in a sentence or two will result in leaving out a lot of the context. Read everything carefully and make sure that you are able to connect one point to the next. Use the “because....then” structure and include more details as necessary. Step 5. Give it another look, this time focusing on how the characters are affected by the events. A well-written story will explain how the character evolves as the story proceeds. Do they learn any important lessons? Did they start off as insecure only to develop confidence at the end? Did they have personality flaws that they were able to improve upon? Every story should have a purpose, and one of the ways this is achieved is by demonstrating that the character changed their priorities or motivations based on the situations they found themselves in. Step 6. Revise and edit. You are almost finished, but if you want it to look professional and polished, there is one essential step that you cannot overlook! Look through the synopsis one last time, making sure that it includes all of the essential information while avoiding the less relevant details. If any of the sentences do nothing to advance the story, take them out. Choose your descriptive words well since your synopsis has to be concise but still highly informative. Finally, we will discuss how to write a synopsis for a research project. This will also be useful if you are wondering how to how to write a synopsis for a research paper, how to write a synopsis for a dissertation, how to write a synopsis for a thesis, or how to write a critical synopsis. It should be concise and to the point, but at the same time informative since it conveys what the purpose of your project is. Choose the language carefully since the title should give the intended audience a reason to want to keep reading. Think of the synopsis in the same way that an architect views a blueprint. It provides us with a concise and well-planned idea about what the project entails. It also highlights the problems, discusses potential solutions and all of the sources that you used. This is important as it allows the reader - especially busy ones - to be informed about the project. If they want more details, they can them proceed to read the project in full. You want the audience to understand that the topic under discussion is relevant and important. Since most of them will have limited knowledge about it, provide background information as well as context. It would also be helpful to discuss why it is personally important to you to find answers. For example, is it related to commerce? Biology? Communication? Business? Politics? Social science? This will serve two purposes: it will draw the reader who is interested in learning more about these fields and it will help eliminate those who have no interest in the topic and therefore not waste their time. As you highlight the sources, justify their use, as it will make your project more credible. At the same time, acknowledge the limitations and weaknesses as well as the gaps in research that require further exploration. This will act as something of a precaution to other researchers who might also plan to use the same resources. Make sure that when you writing the problem statement that it is clear and focused. If you try to accomplish too much, you will ultimately accomplish nothing at all. At the same time, a well-defined problem statement will help guide your research successfully, especially since it will serve as the basis for your hypothesis. Briefly inform the reader about the outcome of your research project, including anything that might have come as a surprise. Based on this, you will be able to determine whether to accept or reject your stated hypothesis. It is important to discuss how your research project contributes to scientific research and how other researchers can use the information to further explore the issue. You would want to discuss the limitations of your study and suggest ways for improvement.